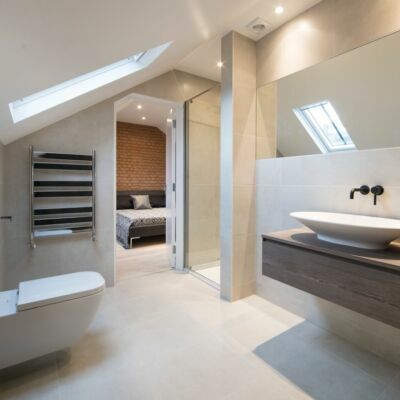 North London Matki Centre Tiles and Baths Direct, have completed yet another luxurious project, renovating the bathrooms of a quintessential townhouse situated in the heart of London’s Little Venice. 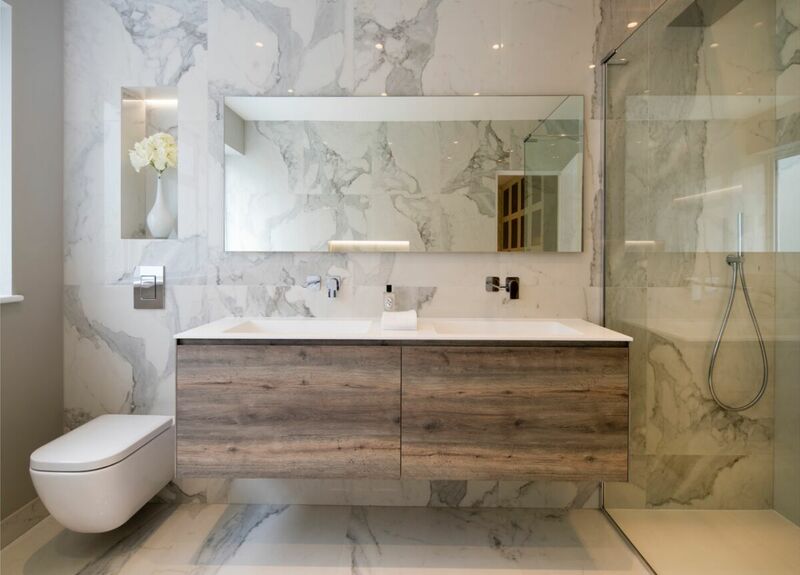 Working in partnership with Architect, Mouli Gani, each bathroom has been designed immaculately, in a contemporary yet timeless style. 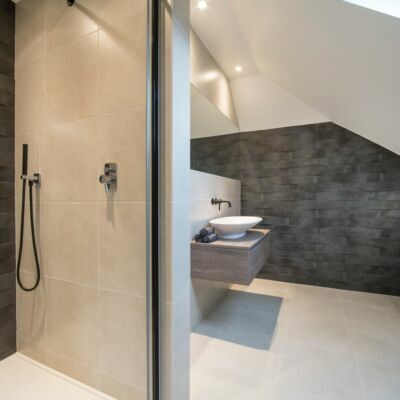 Ella Mitaru from Tiles and Baths Direct gave her insights into the bathroom design and the products included. 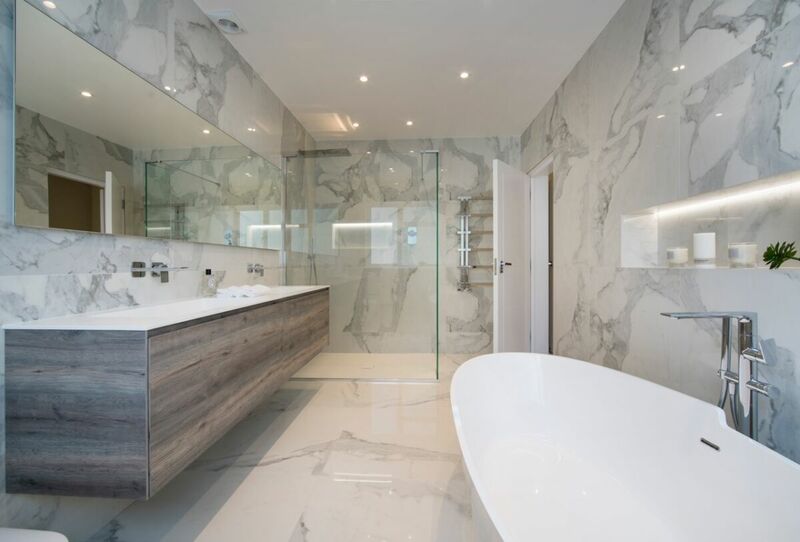 The house was prepared to be sold, so the architect was looking for products which will allow everyone to live comfortably and age gracefully in their home. 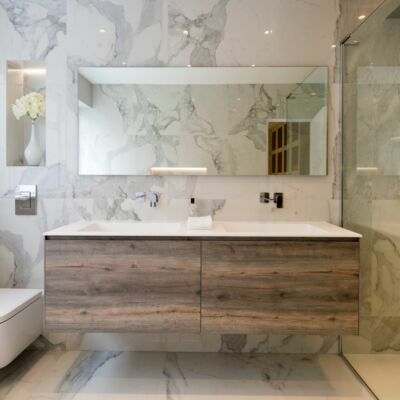 We went for classic Calacatta tiles in the Master bathroom, wood finish vanity unit to combine practicality with stylish Italian design and a spacious wet room, with a crystal clear EauZone Plus Wet Room Panel. 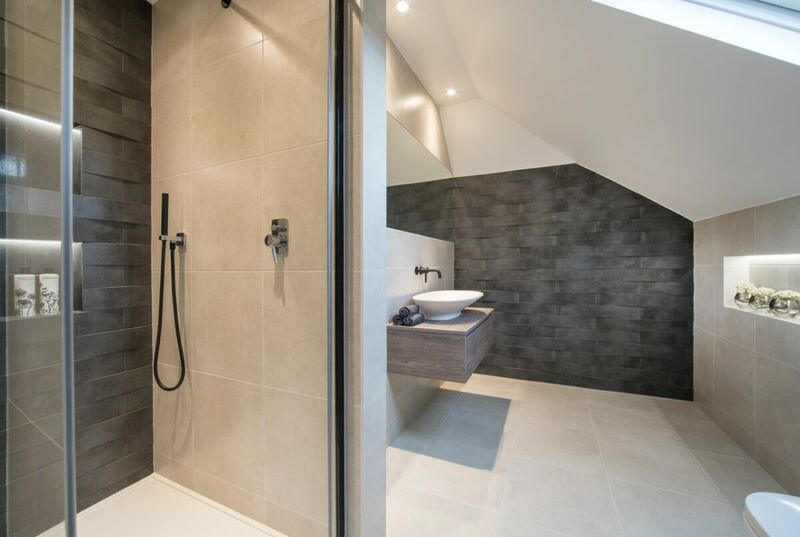 The Flat-Preference shower tray was the best option we had as we were able to get it made in a bespoke size, the surface is also safer than high gloss tiles as we used on the rest of the floor. “To coordinate with the Matte-Black Brassware we chose for the basin, we selected the Matki-ONE recess with Black framing. 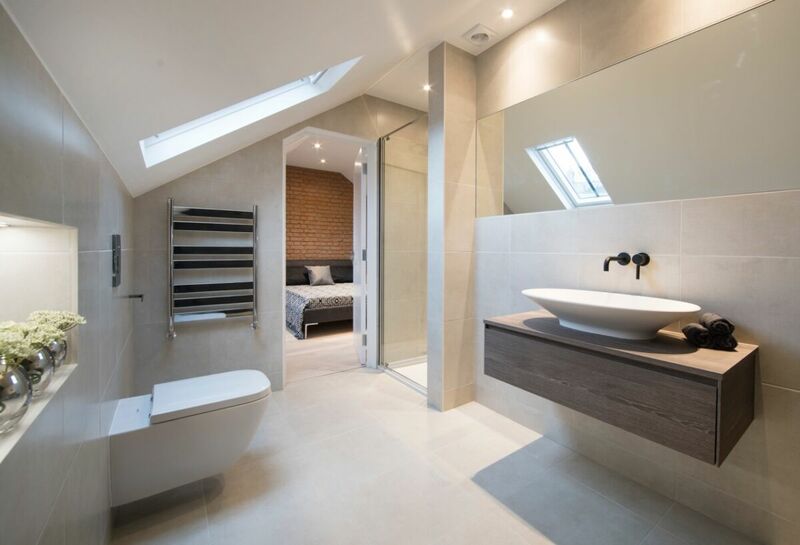 Great to have this option and carry through our design scheme in such a complete manner. Bespoke or standard, classic or contemporary I always have Matki as my first option because I know it will just work and the final look will be stunning. Good quality, long-lasting and amazing looking products as well as a very reliable Customer service are the strongest points in the selling process. 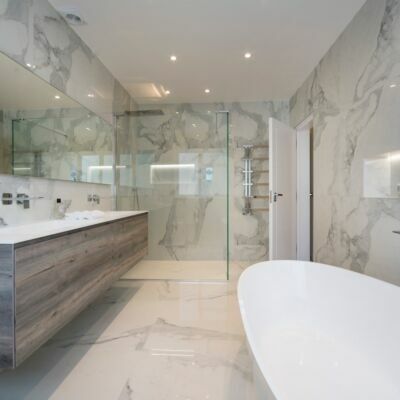 Tiles and Baths Direct have a 30,000 sq. 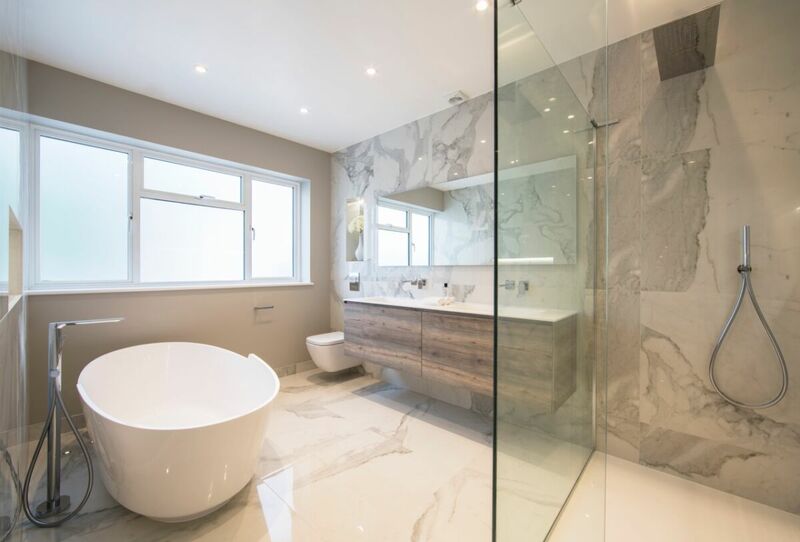 ft showroom located in North West London, Hendon, showcasing a full range of premium bathroom brands within inspirational room settings. 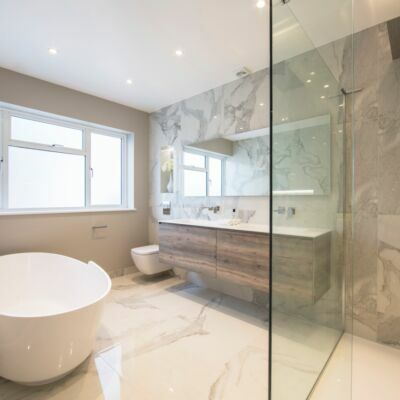 They are an approved Matki EauZone Plus Stockist and have extensive experience in bespoke Matki projects. For more information on this development please contact Mouli Gani.